Why balance? Tire or wheel balancers help keep your tires on the rim and help prolong their life. Without balancing, a tire or wheel is prone to wobble and could be unsafe at road speeds. All new tires go through process to ensure that the overall wheel assembly runs straight and true. So, vibrations are reduced at the steering wheel and throughout the vehicle. Why Rotary? Technicians rely on their equipment to diagnose what type of wheel weights should be used and where they should be placed for maximum effectiveness. 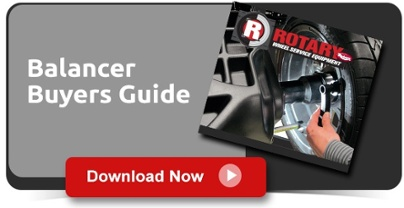 Rotary’s line of professional wheel balancers gives positive feedback to your tech so they can mount, spin, inspect, place weights, spin and confirm the proper balance of a newly mounted tire. Our superior balancers will last in your shop and offer trusted service to your technician and your customer.